Sometimes, a boycott can be a form of consumer activism, sometimes called moral purchasing. When a similar practice is legislated by a national government, it is known as a sanction. 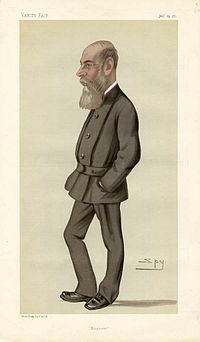 The word boycott entered the English language during the Irish "Land War" and derives from Captain Charles Boycott, the land agent of an absentee landlord, Lord Erne, who lived in Lough Mask House, near Ballinrobe in County Mayo, Ireland, who was subject to social ostracism organized by the Irish Land League in 1880. As harvests had been poor that year, Lord Erne offered his tenants a ten percent reduction in their rents. In September of that year, protesting tenants demanded a twenty five percent reduction, which Lord Erne refused. Boycott then attempted to evict eleven tenants from the land. Charles Stewart Parnell, in a speech in Ennis prior to the events in Lough Mask, proposed that when dealing with tenants who take farms where another tenant was evicted, rather than resorting to violence, everyone in the locality should shun them. While Parnell's speech did not refer to land agents or landlords, the tactic was first applied to Boycott when the alarm was raised about the evictions. Despite the short-term economic hardship to those undertaking this action, Boycott soon found himself isolated – his workers stopped work in the fields and stables, as well as in his house. Local businessmen stopped trading with him, and the local postman refused to deliver mail. The concerted action taken against him meant that Boycott was unable to hire anyone to harvest the crops in his charge. Eventually 50 Orangemen from Cavan and Monaghan volunteered to do the work. They were escorted to and from Claremorris by one thousand policemen and soldiers, despite the fact that the local Land League leaders had said that there would be no violence from them, and in fact no violence happened. This protection ended up costing far more than the harvest was worth. After the harvest, the "boycott" was successfully continued. Within weeks Boycott's name was everywhere. The New-York Tribune reporter, James Redpath, first wrote of the boycott in the international press. The Irish author, George Moore, reported: 'Like a comet the verb 'boycott' appeared.' It was used by The Times in November 1880 as a term for organized isolation. According to an account in the book The Fall of Feudalism in Ireland by Michael Davitt, the term was promoted by Fr. John O'Malley of County Mayo to "signify ostracism applied to a landlord or agent like Boycott". The Times first reported on November 20, 1880: "The people of New Pallas have resolved to 'boycott' them and refused to supply them with food or drink." The Daily News wrote on December 13, 1880: "Already the stoutest-hearted are yielding on every side to the dread of being 'Boycotted'." By January of the following year, the word was being used figuratively: "Dame Nature arose.... She 'Boycotted' London from Kew to Mile End" (The Spectator, January 22, 1881). Girlcott is a portmanteau of girl and boycott intended to focus on the rights or actions of women. The term was coined in 1968 by American track star Lacey O'Neal during the 1968 Summer Olympics in Mexico City, in the context of protests by male African American athletes. Speaking for black women athletes, she advised that the group would not "girlcott" the Olympic Games, because female athletes were still focused on being recognized. It also appeared in Time magazine in 1970, and was later used by retired tennis player Billie Jean King in reference to Wimbledon, to emphasize her argument regarding equal pay for women players. The term "girlcott" was revived in 2005 by women in Allegheny County, Pennsylvania protesting what they said were sexist and degrading T-shirt slogans on Abercrombie & Fitch merchandise. the 1905 Chinese boycott of American products to protest the extension of the Chinese Exclusion Act in 1902.
the worldwide Boycott, Divestment and Sanctions (BDS) campaign led by Palestinian civil society against the State of Israel. Academic boycotts have been organized against countries. For example, the mid and late 20th century academic boycotts of South Africa in protest of apartheid practices and the more recent[when?] academic boycotts of Israel. Some boycotts center on particular businesses, such as recent[when?] protests regarding Costco, Walmart, Ford Motor Company, or the diverse products of Philip Morris. Another form of boycott identifies a number of different companies involved in a particular issue, such as the Sudan Divestment campaign, the Boycott Bush campaign. The Boycott Bush website was set up by Ethical Consumer after U.S. President George W. Bush failed to ratify the Kyoto Protocol – the website identifies Bush's corporate funders and the brands and products they produce. A prime target of boycotts is consumerism itself, e.g. "International Buy Nothing Day" celebrated globally on the Friday after Thanksgiving Day in the United States. "Boycotts" may be formally organized by governments as well. In reality, government "boycotts" are just a type of embargo. Notably, the first formal, nationwide act of the Nazi government against German Jews was a national embargo of Jewish businesses on April 1, 1933. The sociology of collective behavior is concerned with causes and conditions pertaining to behavior carried out by a collective, as opposed to an individual (e.g., riots, panics, fads/crazes, boycotts). Boycotts have been characterized by some as different from traditional forms of collective behavior in that they appear to be highly rational and dependent on existing norms and structures. Lewis Killian criticizes that characterization, pointing to the Tallahassee bus boycott as one example of a boycott that aligns with traditional collective behavior theory. Philip Balsiger points out that political consumption (e.g., boycotts) tends to follow dual-purpose action repertoires, or scripts, which are used publicly to pressure boycott targets and to educate and recruit consumers. Balsiger finds one example in Switzerland, documenting activities of the Clean Clothes Campaign, a public NGO-backed campaign, that highlighted and disseminated information about local companies' ethical practices. Dixon, Martin, and Nau analyzed 31 collective behavior campaigns against corporations that took place during the 1990s and 2000s. Protests considered successful included boycotts and were found to include a third party, either in the capacity of state intervention or of media coverage. State intervention may make boycotts more efficacious when corporation leaders fear the imposition of regulations. 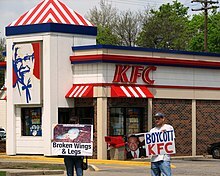 Media intervention may be a crucial contributor to a successful boycott because of its potential to damage the reputation of a corporation. Target corporations that were the most visible were found to be the most vulnerable to either market (protest causing economic loss) or mediated (caused by third-party) disruption. Third-party actors (i.e., the state or media) were more influential when a corporation had a high reputation—when third-party activity was low, highly reputable corporations did not make the desired concessions to boycotters; when third-party activity was high, highly reputable corporations satisfied the demands of boycotters. The boycott, a prima facie market-disruptive tactic, often precipitates mediated disruption. The researchers' analysis led them to conclude that when boycott targets are highly visible and directly interact with and depend on local consumers who can easily find substitutes, they are more likely to make concessions. Koku, Akhigbe, and Springer also emphasize the importance of boycotts' threat of reputational damage, finding that boycotts alone pose more of a threat to a corporation's reputation than to its finances directly. Boycotts are generally legal in developed countries. Occasionally, some restrictions may apply; for instance, in the United States, it may be unlawful for a union to engage in "secondary boycotts" (to request that its members boycott companies that supply items to an organization already under a boycott, in the United States); however, the union is free to use its right to speak freely to inform its members of the fact that suppliers of a company are breaking a boycott; its members then may take whatever action they deem appropriate, in consideration of that fact. ^ Marlow, Joyce (1973). Captain Boycott and the Irish. André Deutsch. pp. 133–142. ISBN 978-0-233-96430-0. ^ Marlow, Joyce (1973). Captain Boycott and the Irish. André Deutsch. pp. 157–173. ISBN 978-0-233-96430-0. ^ Stanford, Jane, That Irishman: the Life and Times of John O'Connor Power, pp. 95–97. ^ "Teen Girls Protest Abercrombie & Fitch Shirts". ABC Inc. October 31, 2005. Retrieved March 18, 2011. ^ Jonathan H. X. Lee (2015). Chinese Americans: The History and Culture of a People. ABC-CLIO. p. 26. ISBN 9781610695503. ^ "Effective boycott campaigns – Multitude Project". Outreach. Retrieved December 26, 2009. ^ O'Conner, Claire (May 14, 2013). "New App Lets You Boycott Koch Brothers, Monsanto And More By Scanning Your Shopping Cart". Forbes. Archived from the original on March 21, 2014. Retrieved September 3, 2016. Burner figured the average supermarket shopper had no idea that buying Brawny paper towels, Angel Soft toilet paper or Dixie cups meant contributing cash to Koch Industries through its subsidiary Georgia-Pacific. ^ "U.S. Holocaust Museum and Memorial". Outreach. Archived from the original on October 3, 2006. Retrieved January 2, 2007. ^ Killian, Lewis M. (1984-01-01). "Organization, Rationality and Spontaneity in the Civil Rights Movement". American Sociological Review. 49 (6): 770–783. doi:10.2307/2095529. JSTOR 2095529. ^ Balsiger, Philip (2010-08-01). "Making Political Consumers: The Tactical Action Repertoire of a Campaign for Clean Clothes" (PDF). Social Movement Studies. 9 (3): 311–329. doi:10.1080/14742837.2010.493672. ISSN 1474-2837. ^ Dixon, Marc; Martin, Andrew W.; Nau, Michael (2016-04-12). "Social Protest and Corporate Change: Brand Visibility, Third-Party Influence, and the Responsiveness of Corporations to Activist Campaigns *". Mobilization: An International Quarterly. 21 (1): 65–82. doi:10.17813/1086-671x-21-1-65. ^ Koku, Paul Sergius; Akhigbe, Aigbe; Springer, Thomas M. (1997-09-01). "The Financial Impact of Boycotts and Threats of Boycott". Journal of Business Research. 40 (1): 15–20. doi:10.1016/S0148-2963(96)00279-2. ^ Delacote, Philippe (2009-09-01). "On the Sources of Consumer Boycotts Ineffectiveness". The Journal of Environment & Development. 18 (3): 306–322. CiteSeerX 10.1.1.1030.5274. doi:10.1177/1070496509338849. ISSN 1070-4965. ^ Yuksel, Ulku; Mryteza, Victoria (2009-02-01). "An evaluation of strategic responses to consumer boycotts". Journal of Business Research. Anti-consumption. 62 (2): 248–259. doi:10.1016/j.jbusres.2008.01.032. ^ National Labor Relations Act, § 8(e), 29 U.S.C.A. § 158(e). ^ "U.S. Bureau of Industry and Security". Office of Antiboycott Compliance. Archived from the original on March 19, 2006. Retrieved March 20, 2006.